Bourbon, Scotch, rye whiskey, single malt ... whiskey is a drink that goes by many names, which makes choosing between the array of bottles of golden hued nectar housed behind the bar particularly confusing. To become a real whiskey expert takes tackling the basics and building up a sound knowledge of the regional and country variations and a repertoire of flavours. To ease your way into the wonderful maze of toasty, nutty, caramelly notes of whiskey and bourbon the possibilities are endless here are 7 whiskey drinking guides that will help you navigate their complexity and give you a guiding light in what could turn into a life long exploration of looking for your favourites. Find out all you need to know about some of the main whisky-producing countries from Scotland, to Canada with the 18 flavour traits displayed by four different whisky-producing regions. 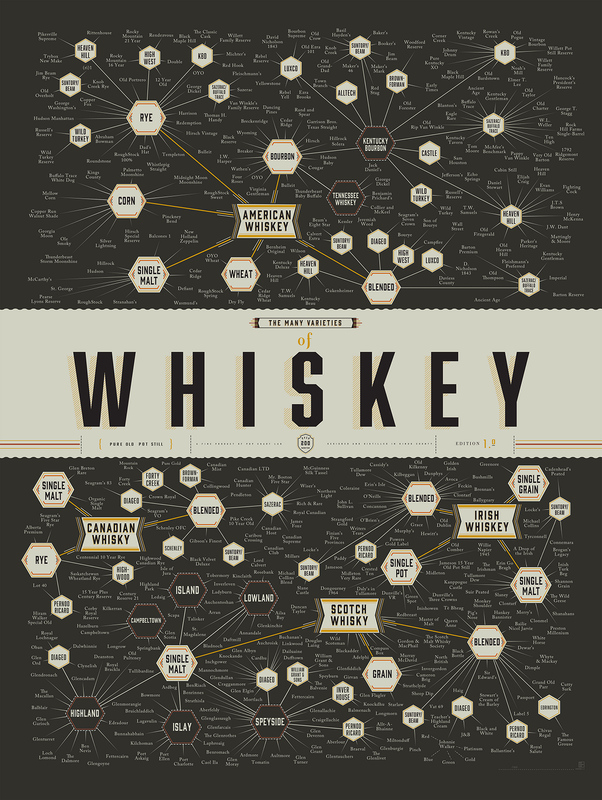 Take a look at the whiskey tree to understand which is your preferred family, along with a variety of names, and perhaps some families you would yet like to meet. A lot of the names are familiar but perhaps you weren't sure which family they came from. As we mentioned there are alot of whiskeys. Here's a useful guide to the flavour profiles of 86 of them taking your from honey and sweetness to medicinal. Scotland is home to the highly respected single malt. 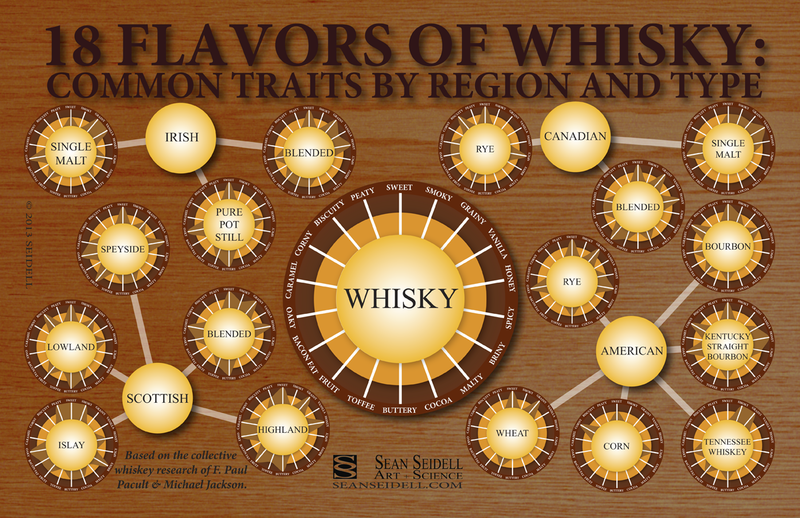 Get your knowledge down by whisky region, defining which bottles and depth of flavour are produced in each. 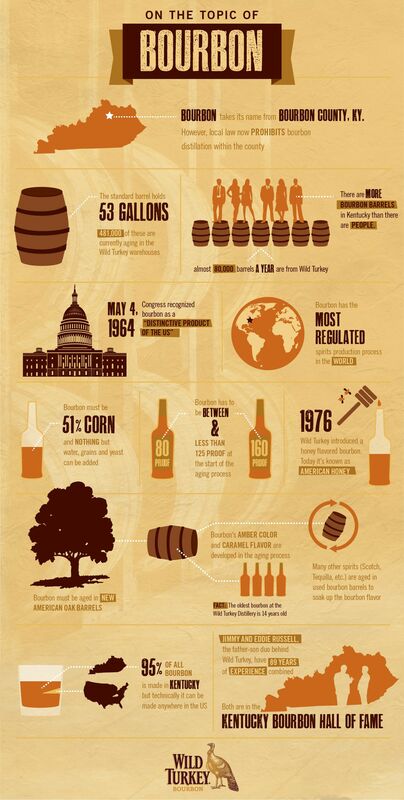 Love bourbon but no idea how it's made? Here's an interesting poster that will give you the top facts. Take a look inside the Willett Distillery in Kentucky and see each stage of the bourbon making process.